Mannucci Droandi Chianti Colli Aretini D.o.c.g. Wine We have grown grapes in our Caposelvi vineyards and made them into wine for three generations, but we only decided to enter the market ourselves in 1998, when we decided to reap the fruits of our experience and bottle our own wine. In our quest for quality we sometimes had to adapt our own way of thinking and that of our assistants. We selected vineyards, carried out shorter pruning, thinned bunches and selected grapes, first in the field and then in the cellar, where years of practice enabled us to control fermentation to the best possible effect. Ageing in barriques (avoiding new wood, in order preserve the wine’s personality), and then in bottles, completes the work. We aim to make a smooth, fruity wine which fully expresses its land of origin: the Chianti hills, and Tuscany itself. Vineyard Six and a half hectares of medium-texture alluvial, sandy and silty soil, with excellent aspect, at an average altitude of 250m above sea level: the best possible production conditions which, along with suitable agronomical choices (land partially subjected to minimal cultivation, and partially with permanent grassing; cordon training and short spur pruning; foliage control in summer; bunch thinning; leaf thinning; and harvesting in several stages), guarantee the highest quality grapes. Cellar Cellar man Andrea Mammuccini. 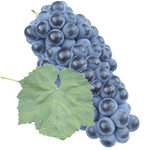 The selected grapes are destemmed and gently crushed; vinification is carried out in medium-sized vats (50-100hl) with extended maceration (15 days) and délestage at intervals. Malolactic fermentation is carried out soon after devatting, a necessary step for the subsequent ageing (12 months) in French oak barriques (used for the second and third time). Lastly the wine completes its maturation with 12 months in the bottles.